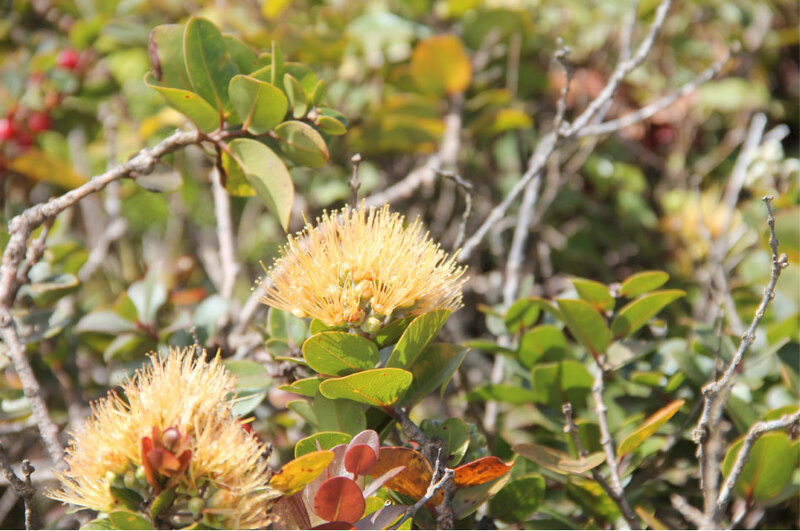 Metrosideros polymorpha is an extremely variable plant. It ranges in habit from a prostrate shrub to a 100 foot tree. Young bark is smooth and light gray and becomes rough and scaly with age. In the landscape or garden, Metrosideros polymorpha is generally no larger than 40 feet tall and 30 feet wide often with a broad, columnar silhouette. The leaves are generally oval in shape ranging in size from 1/2 to 3 inches long and 1/2 to 2 1/4 inches wide. The mature leaves are generally leathery and smooth dark green, but some forms are woolly or hairy underneath and may appear grayish. The leaf buds (liko) can range in color from pale green to pink to red. 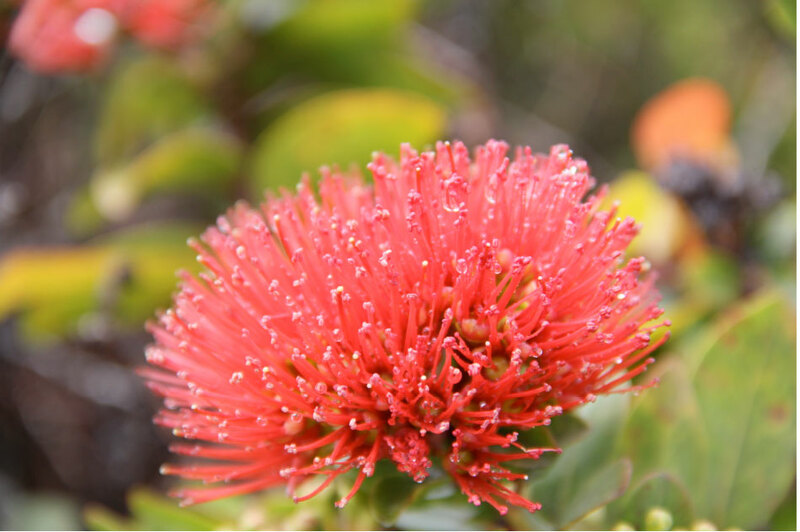 Metrosideros polymorpha is a Hawaiian endemic plant. 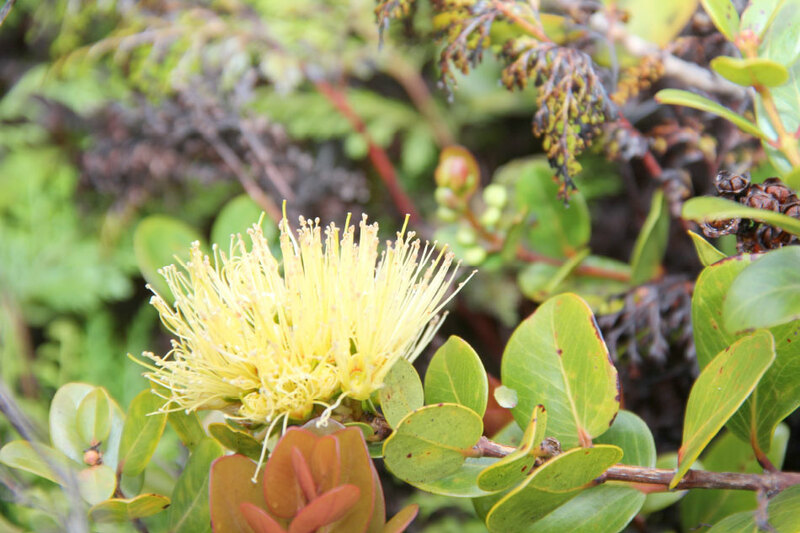 Forms of Metrosideros polymorpha are found in almost all Hawaiian ecosystems ranging from lowland dry shrub lands to rain forests, from high elevation bogs to dry lava flows. It grows from near sea level to 7,150 feet and is found on all the main islands except Ni’ihau and Kaho’olawe.